Tarantulas are arachnids that are found in North America, South America, Europe, Australia, Africa, and southern Asia. There are over 800 species of these spiders found in almost all continents of the world. The greatest concentration of tarantulas can be found in South America and they have a variety of habitats. There are tarantulas that burrow and build silk lined tunnels in the ground. Others live in trees and make aerial nests out of silk. Pet tarantulas have gotten more and more popular. They are a noiseless creature and many are quite docile. These pet spiders require very little space and are easy to care for and feed. They can be handled, but they are not a pet you should handle due to the possibility of injuring the spider. You can find tarantulas widely available at pet stores, reptile shows, and online breeders and dealers. If you want a unique and interesting pet, a tarantula would be a fine choice. Information covering everything you need to care for a pet tarantula. A guide to the cage, habitat, substrate, heating, and lighting for your pet spider. A list of a tarantula’s food and water requirements. The proper ways to handle your spider and facts about how it will defend itself. Information about the molting process of tarantulas as they grow. 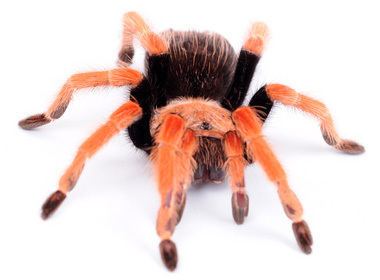 A guide of where to find pet tarantulas for sale.